BUTUAN CITY, April 3 (PIA) – Mayor Ferdinand Amante Jr. denied involvement in the disruption of a religious activity dubbed "Panaad 2013" in Barangay Anticala here, in which an alleged misencounter between government forces occurred. The activity was spearheaded by incumbent Congressman of 1st District Agusan del Norte Hon. Jose 'Joboy' Aquino II, who is also his opponent for mayor in the May elections. “I am not against this religious activity of the Catholics. I may not be a catholic by religion but I’m also a Christian and I support other religious sector’s activity especially in times like this (holy week) because people just want to express their faith and belief to the most almighty... It is not my doing to create such scenario just to destroy my opponents' activities and get attention from the people,” Amante said. Amante added that when he received the report early morning on ‘Good Friday’, he immediately called the attention of his personnel to provide dump trucks so devotees can easily leave the area and move to a safer place. Amante also clarified that it is not a ‘misencounter’ between the Philippine National Police (PNP) and Armed Forces of the Philippines (AFP), as some people were claiming. “I don’t think it is a misencounter between the two forces because a week prior to the holy week season, both conducted clearing operation in the area and declared it as ‘red alert’ area since there was also a report of possible sighting by the NPAs. However, we could not force the devotees not to join the activity since it has been their usual/yearly activity during ‘Good Friday’ as an expression of their faith to God. So, I instructed the PNP in coordination with the Phil. Army to secure the area and safety of the devotees,” Amante pointed out. Amante further said that he requested the office of Sec. Mar Roxas of the Department of the Interior and Local Government (DILG) to create an independent task force from the national level to investigate the said incident. This is to know the truth and avoid any whitewash though he also released an executive order to the PNP and AFP to conduct their own investigation and its results will be integrated afterwards. BUTUAN CITY, April 4 (PIA) – The National Economic and Development Authority (NEDA) in Caraga today presented the region’s labor and employment status. During the Sectoral Technical Working Group Meeting on Mainstreaming Labor and Employment in the Regional Development Plan (RDP) 2011-2016 Revision and Enhancing the Results Matrices held in one of the local establishments here, Melanie Maur of NEDA-Caraga said in comparing the key labor and employment indicators in 2010 and 2011 in the region, the labor force participation rate has increased from 65.38 percent to 65.73 percent. Maur also said the region’s employment rate has also increased from 93.50 percent to 94.03 percent. In terms of unemployment rate in the region, Maur said the region’s data has decreased from 6.48 percent in 2010 to 5.98 percent in 2011. However, the official said the underemployment rate of Caraga has increased from 22.23 percent to 26.00 percent. Maur further explained Caraga Region has achieved moderate accomplishment with respect to employment creation, where laborers and unskilled workers comprise a big chunk of the total labor force. She also said number of jobs created did not grow fast enough and there is still high level of underemployment in the region. With these developments, Maur said the challenges that the region in particular, and the country in general is facing is to translate potential jobs into actual employment. She also stressed there is a need to improve governance infrastructure to encourage investments, particularly in key industries. The NEDA official further cited that mainstreaming employment generation in sectoral and industry roadmaps must also be made, as well as to facilitate school-to-work transition of young entrants to the labor force, and maximizing productive capacities of large pool of educated unemployed young adults. In other developments, Maur presented the region’s probability in meeting the Millennium Development Goals (MDGs). She said the region is seen to be high in terms of under five and infant mortality rate, halt and begin to revers the incidence of malaria and other diseases, access to safe drinking water, and households with sanitary toilets. BUTUAN CITY, Apr. 4 (PIA) – The Department of Health-Center for Health Development (DOH-CHD) Caraga region is conducting a two-day orientation from April 4-5 for its Regional Inter-Agency Committee on Environmental Health (RIACEH) stakeholders to address environmental health problems. According to Dr. Ernesto Pareja of DOH-CHD Caraga, the orientation is aimed to strengthen better collaboration among stakeholders on health and environment in addressing environmental health issues and to delineate the functions of its stakeholders. Dr. Pareja said that because of the establishment of industries operating in the region like that of mining, palm oil and banana plantation, and other industrial establishment, the development of environmental health issues is expected as it operates along the way due to exposures with chemicals, pollution, improper waste disposal and contamination of water, there is a need for the RIACEH stakeholders to convene and help determine practical ways & its application in protecting our environment & lives from the environment health problems. During the two-day orientation which started Thursday and will culminate on Friday, the seven RIACEH subsectors (SWATOFS) will be discussed. These include the subsectors on Solid Waste, Water, Air, Toxic Substances and Hazardous Waste, Occupational Health, Food, and Sanitation sectors. BUTUAN CITY, April 4 (PIA) -- Caraga region now has 17 illegal logging hotspot areas, down from 37. The Caraga Multi-Sectoral Forest Protection Committee (MFPC) reported that the 17 illegal logging hotspot areas comprise eight areas from the province of Agusan del Sur, eight areas from Surigao del Sur and one from the province of Dinagat Islands. The MFPC is lead by the Department of Environment and Natural Resources. The continuous monitoring and the implementation of Executive Order (EO) No. 23 has contributed a lot to the forest protection of the region, Maritess M. Ocampo, DENR-Caraga regional technical director for forestry, said. From January 1 to March 31, the DENR in partnership with the Philippine National Police (PNP) and Armed Forces of the Philippines (AFP) seized 850.92 cu. m of logs; 40,472.61 bd. Ft. of lumber/flitches; and able to file four cases in court, she said. Also, DENR Caraga was able to donate a total milled volume of 529,088.5570 bd. ft to the Technical Education and Skills Development Authority-Agusan del Sur School of Arts and Trade (TESDA-ASSAT) in Patin-ay, Prosperidad, Agusan del Sur for the manufacturing of armchairs from the start of the project in 2011 to December 31, 2012. The manufacturing of armchairs using the confiscated forest products is under the School Furniture Production Program (SFPP) also known as PNoy Bayanihan Project. From the confiscated forest products, a total of 27,353 armchairs were produced, 19,556 armchairs were delivered to different Department of Education (DepEd) schools and 7,797 armchairs are now ready for delivery, RTD Ocampo added. The SFPP is a joint project of DENR, DepEd, TESDA and PAGCOR for the production of school furniture and fixtures. 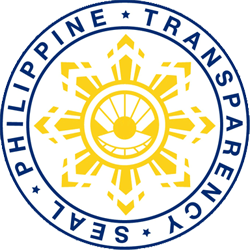 DAPA, Surigao del Norte, April 4 (PIA) — Malacañang Palace has announced that President Aquino approved a P110-million financial grant from the Social Fund for the modernization of the Siargao airport. The announcement was made during the official visit of DILG Secretary Mar Roxas and DOTC Secretary Joseph Emilio Abaya to Siargao Island last March 27 where they made an ocular inspection of the island’s airport and the proposed runway extension development. They also inspected the new Tourist Police stations in Dapa and General Luna towns and the newly-converted LTO District Office for Siargao located in Dapa which came into being with the President's approval of R.A. 10391. Ang taunang pagtitipon na ginanap mula Marso 4 hanggang 15 sa headquarters ng United Nations (UN) sa New York ay may naitalang mataas na bilang ng mga dumalo kung saan 133 estados ang nagbigay ng pahayag. Mahigit 6,000 mula sa civil society organizations ang nagpatala bago pa dumating ang dalawang linggo na komperensya. Ang ika 57 na CSW ay tinapos sa pagtanggap sa napagkasunduang konklusyon sa pagbasura sa mga bayolenteng gawain laban sa kababaihan na siyang pinuri ng mga pamahalaan, mga opisyales ng UN at kuponang sibil bilang pandaigdigang kasunduan, lalo na at binigyan ng Jack of Agreed Conclusion noong 2003 ng napag-usapan ito sa komisyon, at ang kakulangan ng kasunduan noong nakaraang taon kung saan ang nangungunang tema ay nakatuon sa hindi kontrobersyal na isyu sa mga kababaihan sa lalawigan. Ang napagkasunduang ay mahigpit na nagsasaad na ang pang aabuso laban sa kababaihan ay isang paglabag sa karapatang pantao at ito ay tungkulin ng lahat ng estado na pangalagaan na hindi alintana ang kanilang sistemang politikal, economiya at kultura, para maipatupad at protektahan ang lahat ng karapatang pantao. Ang UN Entity for Gender Equality and Empowerment of Women (UN WOMEN) ay nakipag alyansa sa mga estadong miyembro ng UN, mga bansang kaisa ng UN at ng mga civil society at sila ay gagabayan ng naitalang kasunduan para protektahan ang karapatan ng kababaihan na mamuhay na walang takot. Ang kasunduan ay naglalaman ng mga gabay para sa pag iwas at pagresponde, at may kabuuang 69 na kongkretong aksyon na dapat gawin ng pamahalaan at iba pang sektor. Ang Pilipinas ay hayagang pinuri ng pandaigdigang komunidad sa kanyang papel na ginampanan na padaliin ang negosasyon ng kasunduan. Ang delegasyon ng Pilipinas sa 57th CSW ay pinangunahan ni Presidential Adviser on the Peace Process Teresita-Quintos Deles at Ambassador Libran N. Cabactulan, Philippine Permanent representative to the United Nations. Kasama rin sa delegasyon ang mga representante mula sa Philippine Commission on Women, Department of Justice, Department of Social Welfare and Development, National Anti-Poverty Commission, Office of the Presidential Adviser on the Peace Process, Commission on Human Rights, Department of Health and civil societyorganizations. Ang delegasyon ng Pilipinas ay aktibong nakipanayam din sa ibang delegasyon sa loob ng mahigit dalawang linggong mahigpit na negosasyon sa paggawa ng napagkasunduang konklusyon na pinamahalaan ng CSW Vice Chairperson na si Ana Marie Hernando ng Philippine Permanent Mission na siya ring kumakatawan sa Asia Pacific Region. SURIGAO CITY, Abril 4 (PIA) -- Gisiguro sa Malakanyang niadtong Martes nga adunay saktong mga sumbanan aron masumpo ang oil smuggling sa nasud. Sumala ni Presidential Spokesperson Edwin Lacierda, lakip sa maong sumbanan mao ang tax regulation pinaagi sa Revenue Regulation 2-2012 nga musiguro nga ang ecozone locators makakuha og tax exemption. 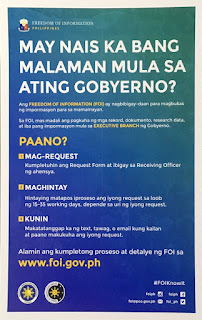 Dugang pa niini, ang mga pagbisita ug inspeksyon sa ginahimo sa Department of Finance (DOF), Bureau of Customs (BOC) ug ang Bureau of Internal Revenue (BIR)aron sumpoon ang maong lihok pagpayuhot. Sumala pa ni Lacierda nga ang pagsumpo sa oil smuggling makapauswag sa tax collection sa nasod. Dugang pa niya nga sugod karong bulana, ang DOF, BOC ug ang BIR mobisita sa Manila International Container Port, Port sa Ninoy Aquino International Airport, ug ang Port sa Batangas, ug lain pang uban nga mga major oil importers. Sumala ni Ramon Ang, ang chairman ug chief executive officer sa Petron Corp. nga katulo sa kinatibuk-ang gidaghanon sa produkto sa oil nga gibaligya sa merkado nagagikan sa pagpahuyot og kini binase sa pagtoon sukad niadtong 2007 hangtod 2011.